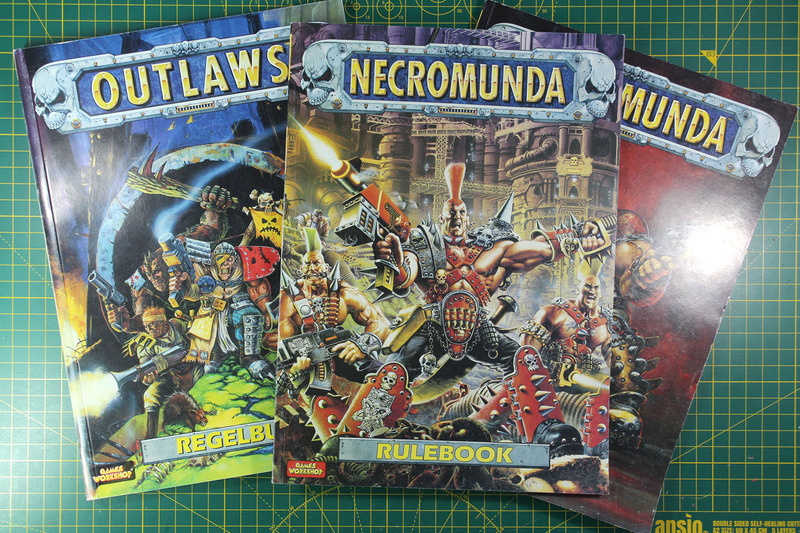 And some didn't even stick to using the Inquisitor rulebook, they went on to use the old Necromunda rules or other rule sets, that they felt would. It is important to highlight, Inq28 isn't about a specific set of rules, within the scene a lot of different rule sets are used, depending on your group's preferences. 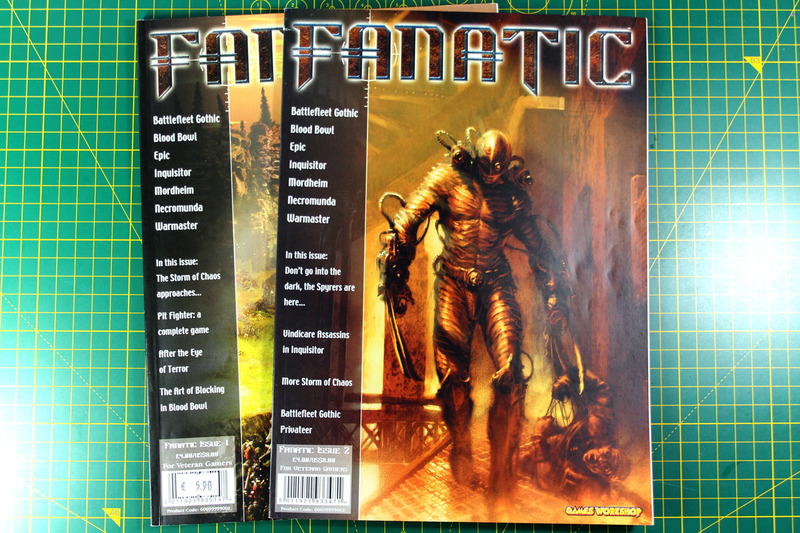 And Games Workshop, or better said Fanatic Press and Specialist Games released a lot of additional content for the side games, providing the communities of Necromunda and Inquisitor with tons of pages of additional content. These enabled you to use even more exotic miniatures and inspired you to move beyond the limits of your imagination. Inq28 is a very broad topic, and it is nearly impossible to explain it in only one article, so see this as a first introduction to Inq28, followed by further posts that will cover possible rules, references, links to communities and artists that coin the Inq28 scene. 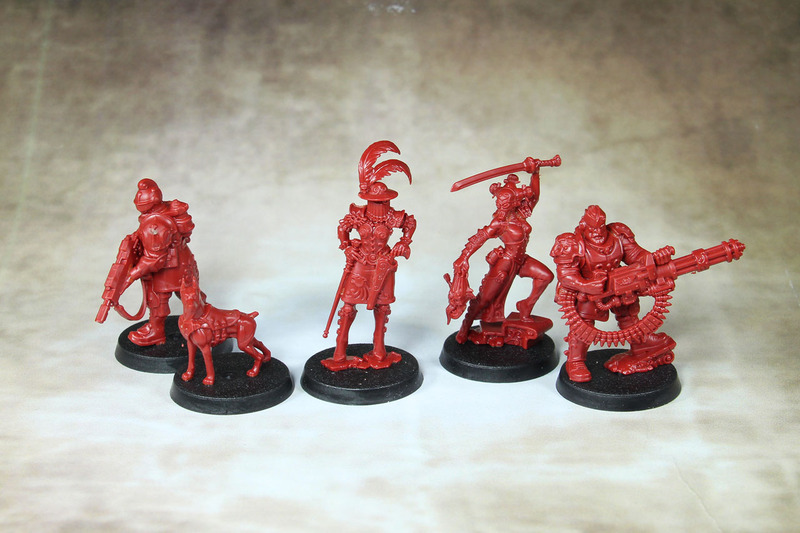 Inquisitor warbands are usually around 3-5 characters, so even for a skirmish that is a low amount of models. 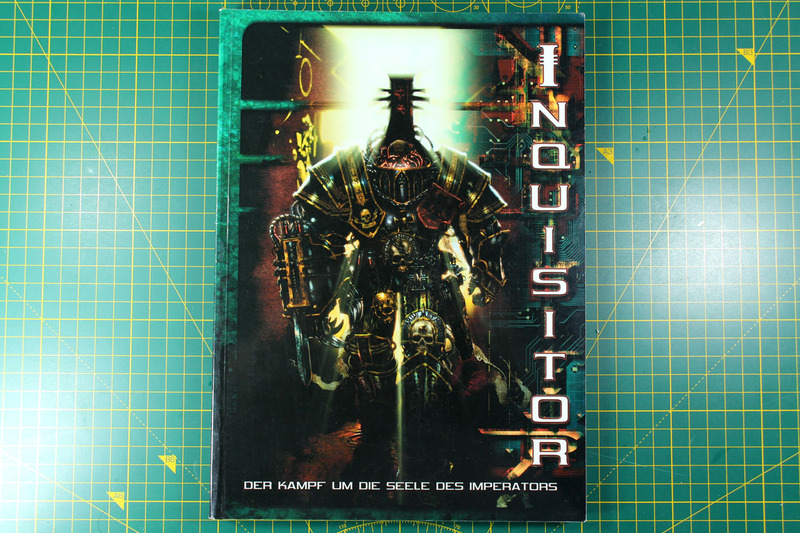 In Inquisitor your warband is gathered around a protagonist, often an Inquisitor or some sort of character, that would inspire others to follow him. This character gathers an entourage of all kinds of different other character types, found in the lore of the Warhammer 40k universe (and the fund is here way deeper than just the fluff in the rule books or codices, it is gathered from the novells, from the Citadel Journals and so on). 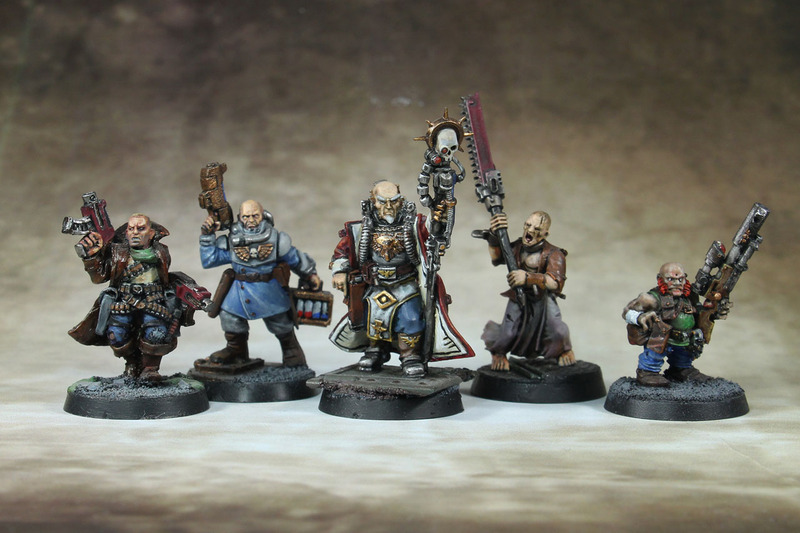 So your warband can be gathered around an Inquisitor from the Ordo Hereticus, Xenos or Malleus, a puritan or radical. And by that his motives and tools may be kept strict to the protocol or be wild and deep in the grey area. 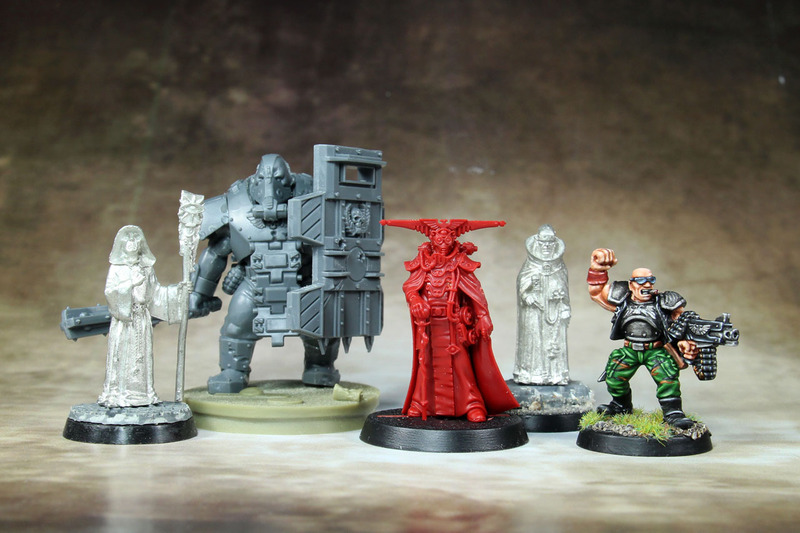 Or your warband isn't even build around an Inquisitor, maybe it is Rogue Trader with his retinue, an lower Imperial Agent on a secret mission, a demagoge of the dark gods, a cult leader or some imperial noble, with to much money to spend. To give you an example using my rather large collection of old- to mid-hammer Warhammer 40k range, two exemplary warbands for Inq28. 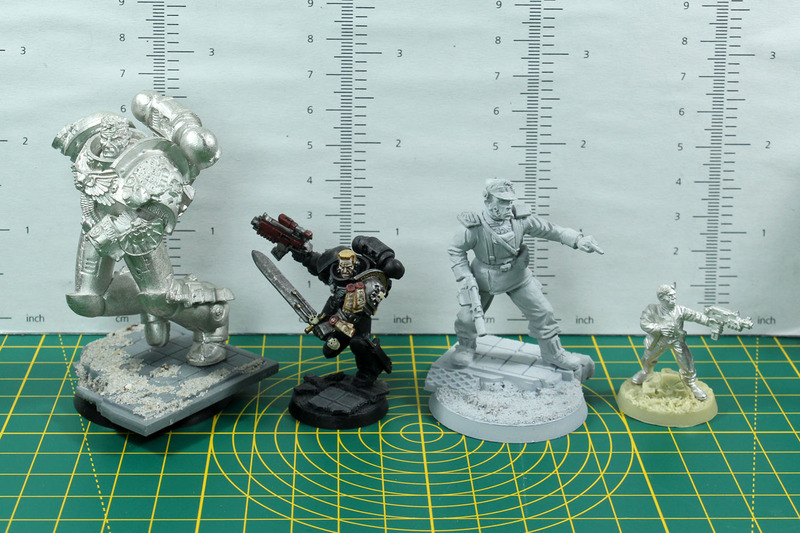 On the left we have an Inquisitor that I converted from a Primaris Psyker to look like similar an older Eisenhorn. He's accompanied by a hired gun from Necromunda, an imperial Agent that went along to gather samples (he's from the old Warhammer 40k starter box Battle for Macragge), an imperial Flagellant and a meta-human ratling sniper. On the right an old Rogue Trader era Adeptus Mechanicus miniature with power axe, supported by a hired gun from Necromunda, an old Servitor and a converted Cadian Karskin for some additional firepower. 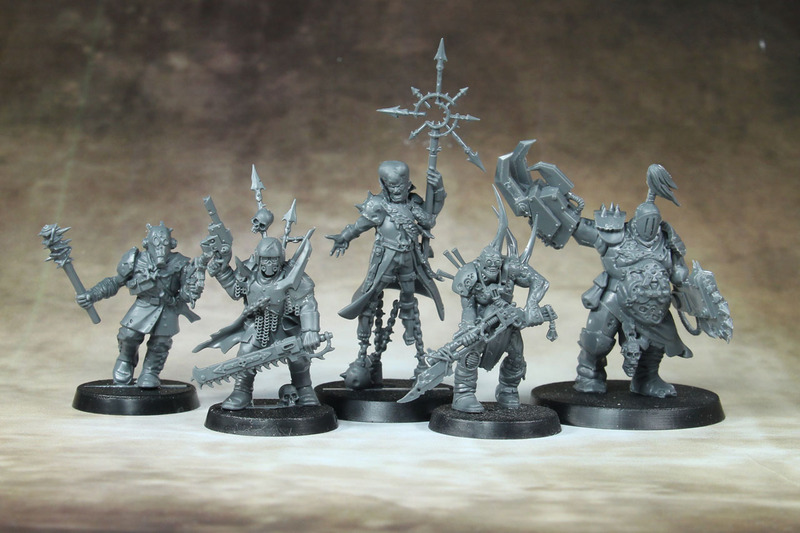 You could easily set up a Inq28 warband from one of the last boxed sets, like Kill Team Rogue Trader. Elucia Vhane, with two of her voidmen, a dog and a deathcult assassin. Or to move from the "loyal" warbands to followers of the chaos gods. 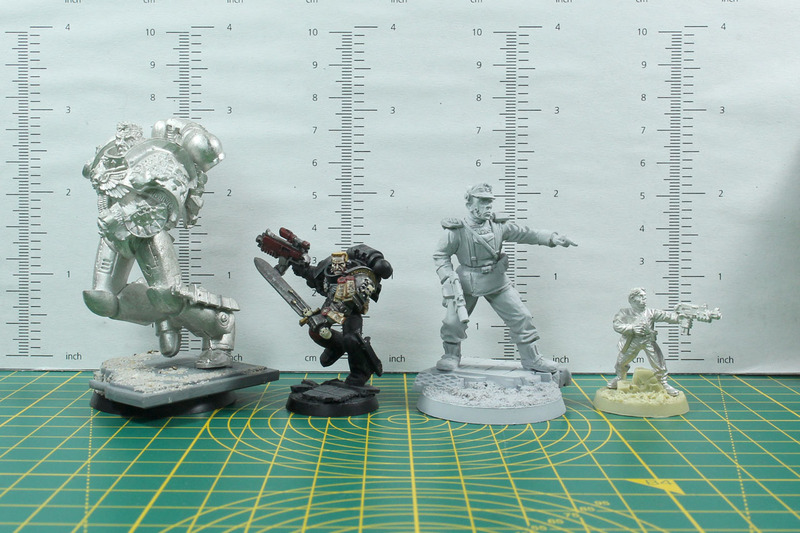 One of the rogue psykers from Blackstone Fortress, along with a chaos cultists, a traitor guardsman and pox walker, as well as a converted Blightking with parts from the Ork Nobz, so look like a meta-human pit slave. 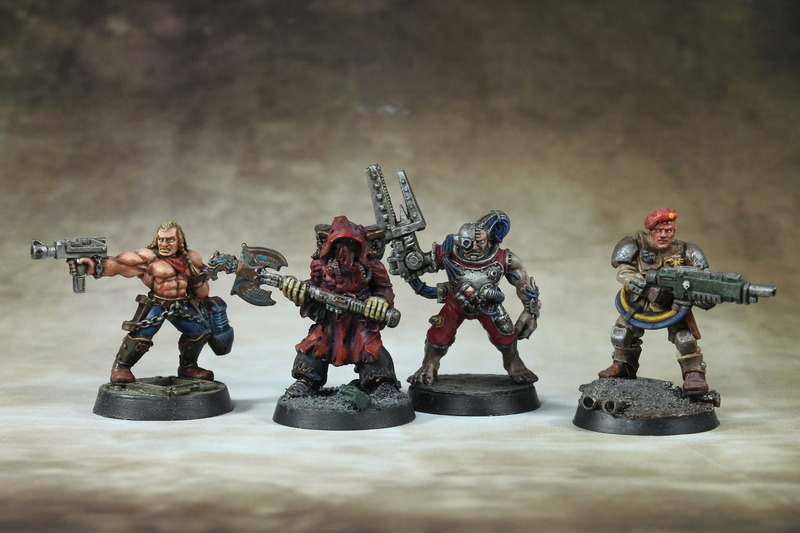 Another band around a model from Blackstone Fortress, are these emissaries of the imperial house of navigators, the Navis Nobile. Having a bullgryn and an imperial soldier to guard them. All these examples are rather settled, not even touching that Blanche / Blanchitsu style, often found with Inq28 warbands. But that's a topic for a different blog post. I wanted to give you an idea of what Inq28 is about, a warband that has a motivation, a story to tell, using the broad lore of the grim dark. 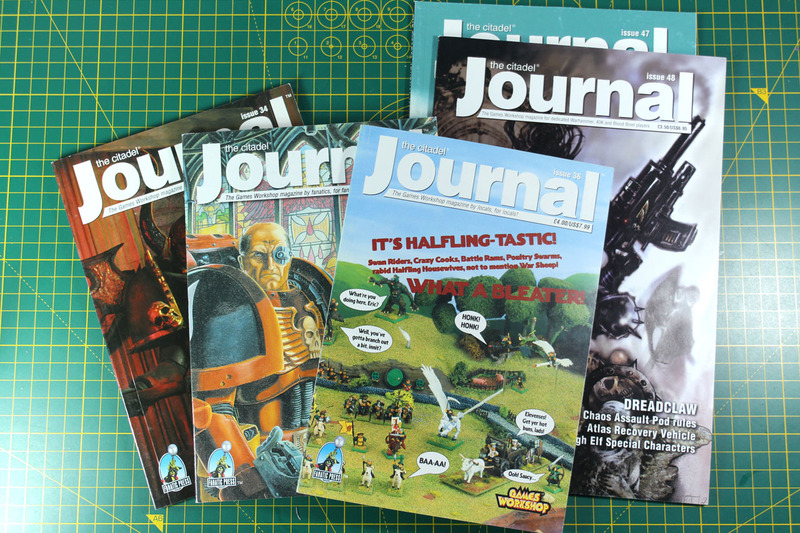 So expect this series to be continued soon, covering some of the communities and websites that are home to some of the greatest projects within the Inq28 sub-genre. Really love that you shine alight on this sub-genre! After found Ammobunker four years ago it really has changed my view on this hobby. Nowdays i spend little time on marines and 40k in general and just sit around drooling over bits and others conversions! Gonna follow these articles with eagerness and happyness!